TODAY when the country is going for Lok Sabha elections, one picture is very clear in their minds of the people “Niyati (intention) and Niti (policy). 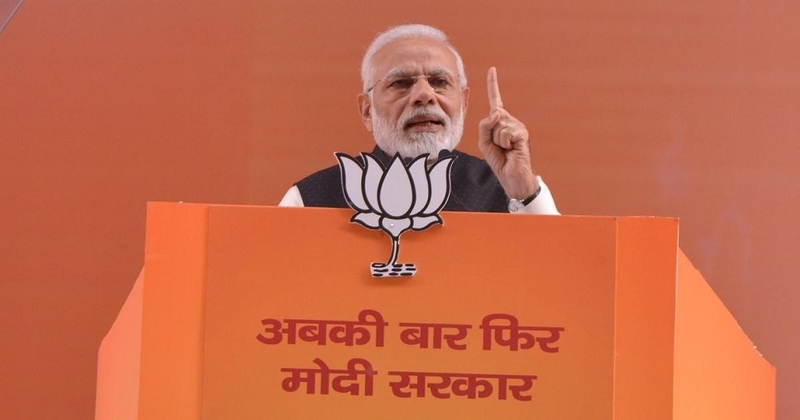 Congress is contesting election to ensure party’s win, while BJP is contesting this election for the victory of the nation, said Prime Minister Narendra Modi while addressing a mammoth gathering at village Hathod adjacent to Balod district Headquarters. PM Modi said “Congress and its allies are contesting elections for looting the hard-earned income of people while the BJP is for judicious usage of every penny earned. Addressing a mammoth gathering which was continuously chanting “Modi, Modi”, the Prime Minister said the ‘Namdaar’ who used to consider his Lok Sabha seat as a part of his will, situation has become so worse for him that he had search for another safe seat. When the ‘Namdaar’ has to move to a safe seat for him in the country, is it difficult to understand what is in the offing in this Lok Sabha elections, asked Modi.